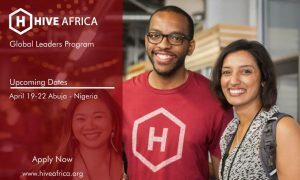 Attend the upcoming Hive Africa Global Leaders Program in Abuja-Nigeria. Hive Africa is a continental offshoot of the GLOBAL HIVE, a platform where visionaries, inventors, innovators and achievers gather for cross fertilization of old and new ideas to engender a more efficient and effective human ecosystem. Through networking and Cob webbing made possible by the hive philosophy and symbolism, the good and the better from all over the world are brought into the same pool and community to beget the best. Hive Africa is a place of opportunities unlimited. The world must become a better place; if more people will work at more positive interactions, more sharing, more giving, more knowledge, more exploits, more capacities, more projects, more exposure and more loving. The world needs all the above to engender more creativity, productivity and utility. The MORE THEORY applied to positive endeavours and engagements are inherent in the Hive concepts. Hive Africa as a quintessential community provides an avenue for more rare opportunities for Africans to plug into myriads of dividends that global hive offers. Africans thirsty for advancement and development and to contribute their own quota to world prosperity will have the unique but unusual chances of manifesting their ingenuity and originality in an atmosphere of oneness and love. The best minds from across the globe are congregating in the hives to rethink, ‘rejig’ and reshape the world. Bests are coming together to produce a higher degree of bests. It is characteristic of bees to produce honey, the most nourishing natural sweetener in the world. All of Africa, Asia, Europe and the Americas are invited to Africa the home of civilization to jaw-jaw, partner and synergize to remake and remould the world. We will be stronger together. We will be happier together. We will achieve more together. Find your way into the HIVE Global Community via HIVE AFRICA Global Leaders Program, let us rethink and reconceptualise a more human-friendly world together. 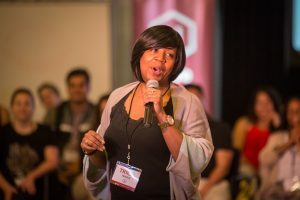 Hive Africa Global Leaders Program is a three-day rapidly prototyped in-person collaboration with extraordinarily, talented, creative, and innovative global leaders from so many countries. It is designed as the entry into the Hive Global Leaders Community of leaders working together on creating a better world. Hive Africa Global Leaders include CEOs of $200 million companies, award-winning social entrepreneurs, elected leaders, neuroscientists, Olympic Gold Medallists, Rwandan genocide-survivors turned inspiring public speakers, technology entrepreneurs, Columbia professors in International Affairs, Stanford design lecturers, Sudanese refugees turned innovators, renewable energy investors, Navy SEALs, engineers from Facebook, Google, and Apple, World Bank and UN researchers, venture capitalists, Virgin Galactic astronauts, and extraordinary leaders working to create a better world. We are bonded by our work in leadership and our desire to build a better.